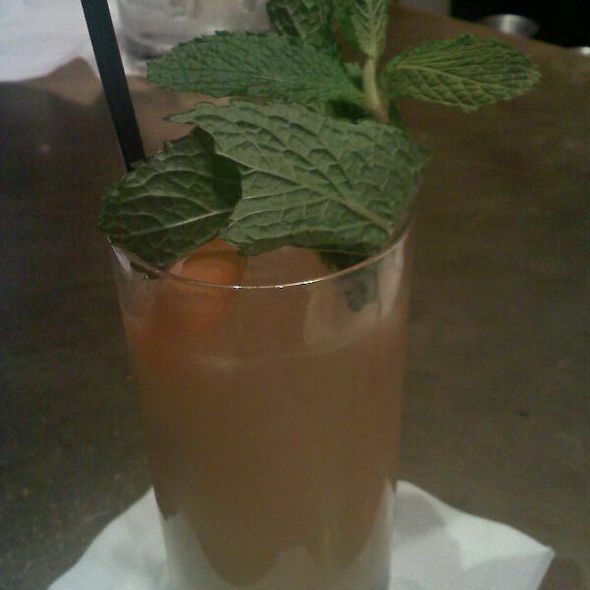 Every Thursday, Friday, and Saturday evening join us from 6:30p-9:30p for live Jazz by acclaimed pianist, Antonio Ciacca. Enjoy the best of musical theater with Two E's new monthly cabaret series, Broadway At The Pierre. Originally the Gentlemen’s Library when The Pierre opened in 1930, Two E Bar & Lounge has become one of the hotel's most beloved venues. 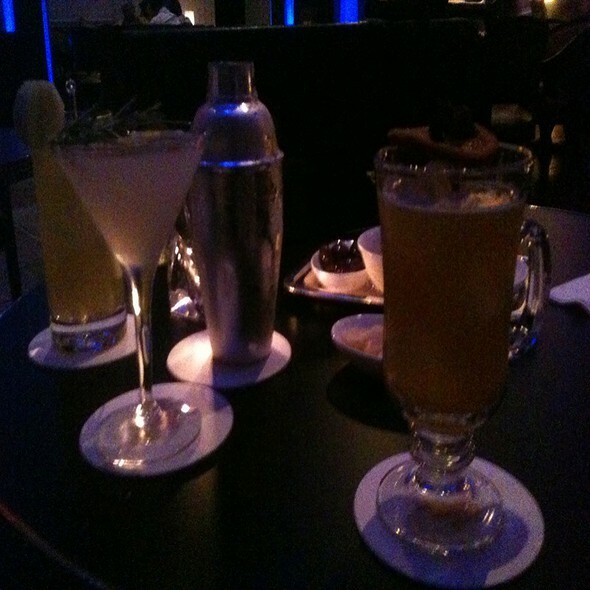 A Neo-Classical lounge, it is designed to reflect a chic Upper East Side residence. 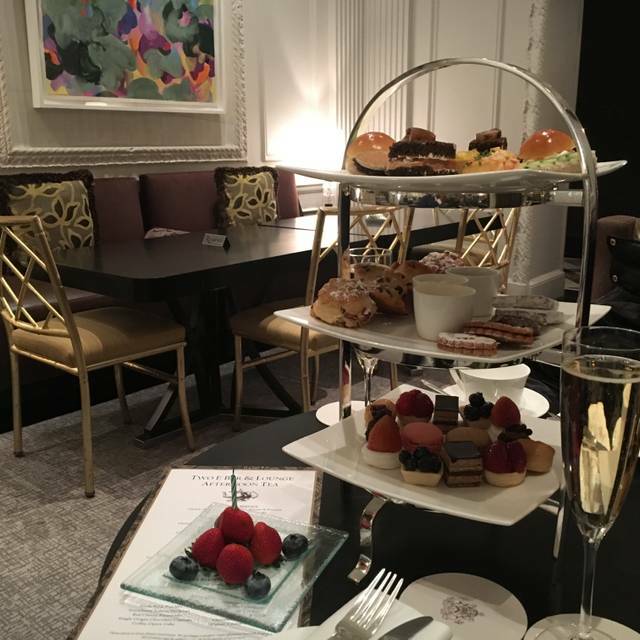 Two E's coveted traditional Afternoon Tea menu--recently rated the best in New York City by Town & Country magazine-- is created by a full in-house pastry team. 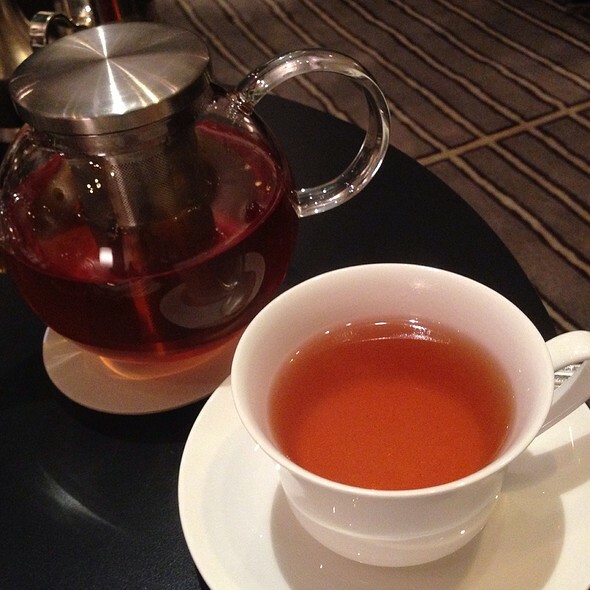 The lounge's new Tiffin & Tea service offers a modern take on a classic Indian and British tradition. 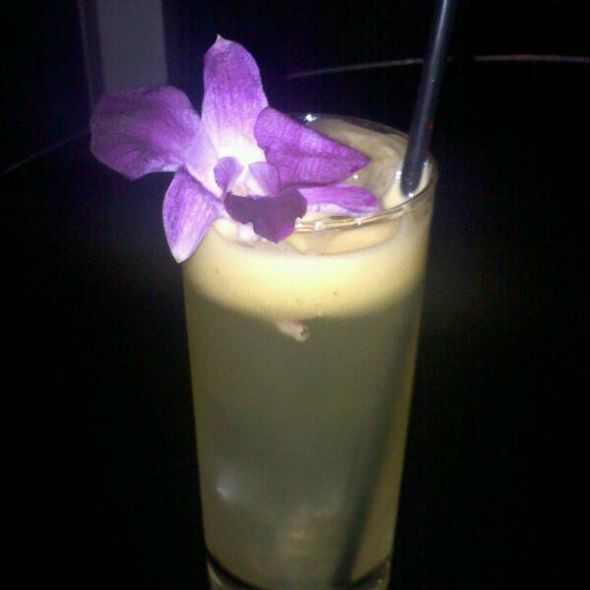 At night, Two E transforms into a stylish bar that serves up handcrafted cocktails complemented by small plates. Two E offers exciting entertainment, from live jazz on Thursday, Friday and Saturday evenings to a monthly cabaret series, Broadway At The Pierre, featuring talent from the best of musical theater. A fragrant blend of Yunnan & Assam teas which are both mild & mellow. Its high caffeine content makes this tea a perfect morning blend! I think the vegan menu was a bit weak and based on what you received should NOT have the same charge as the standard tea- probably should have been 1/3 to 1/2 less. We had tea and it was a wonderful experience. The service was amazing and the food was delicious. The tea list was excellent. We will definitely do tea there again. Special place for afternoon tea. Service was exceptional. Lovely tea experience with my girl friends to celebrate my upxoming wedding! We stopped in for drinks one afternoon and also ordered some delicious appetizers. 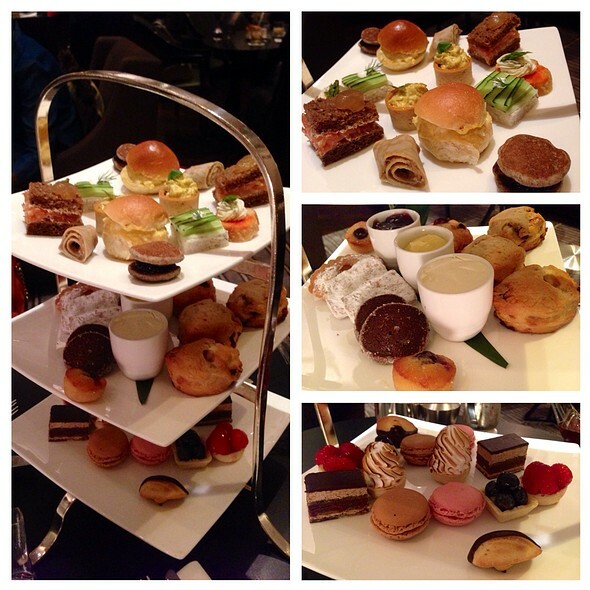 We enjoyed it so much that we returned for High Tea a few days later. It was great fun and the selections on the tea trays were beyond expectations and very similar to the teas I have experienced in England and Ireland. It was lovely. Took my friend to tea for her birthday! Had a great time. Scones were outrageous! Then we walked in Central Park. Wonderful 1st day of Spring. Thank you 2E. Food was not as tasty as visually appealing. Portions were smaller than anticipated. Most sandwiches were dry bread-wise. The actual tea was lovely. Most of the sweets were one-bite size and again not a lot of variety in taste. Scones were small but the best part, taste-wise. Seating was fine. Ambiance was good. More attention from the server would have been nice. Compared to actual English Afternoon Tea services, it was okay but not “delicious” enough to warrant a return or reference. Liked but not loved it! Thanks! Was disappointed that the afternoon tea took place in the bar/lounge, not in the rotunda. Ambiance was boring. It was an amazing experience! Excellent customer service! I would highly recommend! We a great baby shower royal tea service. The tea selection is thoughtful and delicious. Food was lovely. Great ambiance. such a great experience! I took my teenaged daughter there for a (belated) valentine's tea, and it was everything I hoped for for us! Place is lovely, service is good, but sandwiches, scones (which were nothing special), etc. were served cold, as if just out of the refrigerator. We had a great time. I would most definitely return. Relaxed ambience in beautiful hotel lounge. Oysters and salmon were delicious. Service could have been more attentive. Was way over priced. The tea was brought out and we waited for an hour to get the pastries. By that time the tea was cold and we were ready to go. Never been to an afternoon tea where they won't give you another pot of tea (only hot water) or refill your tea sandwiches. Bread for the tiny hors d'oeuvres was also stale, tiers were stacked in an odd order, and proportion of savory to sweet was way off. Maitre d' was completely dismissive of us asking for a coat check, and service was completely absent. Absolutely not worth any value. Would not recommend to anyone. Staff was attentive and they are focused on the details that make it a great experiences. They remembered the most minute of special requests. Food and drink were top shelf. 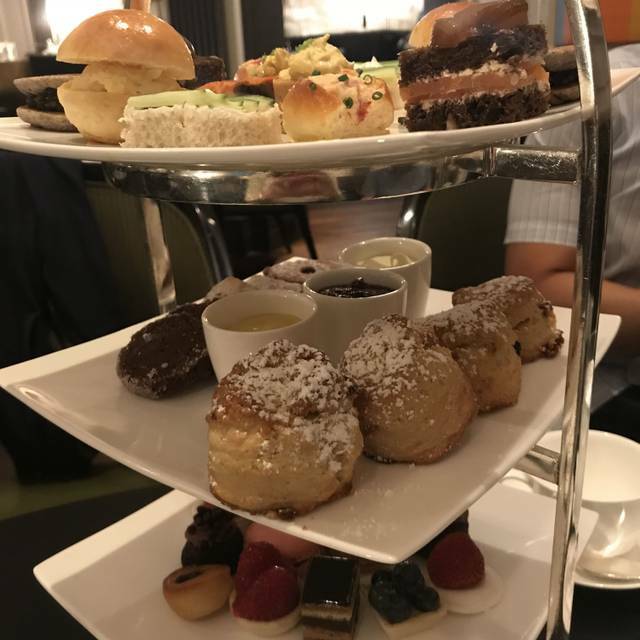 My sister and I visited NY and we wanted to have Afternoon Tea so we choose this restaurant. The Afternoon Tea is extremely overpriced. The food was definitely a bite. Not even enough to call it a snack. The scones were small and barely warm. The tea selection was small. Serious Improvements are needed with the Afternoon Tea part of the menu, especially for the high price. Totally not worth it. Once we left we had to get a hot dog from the cart outside. The only reason the ratings on some questions are more than one star is because the waiter was extremely nice, but he wasn't attentive once others came in. I won't do it again, not here. The tea service is wonderful. Best in the city! The place is really nice, tea selection nice, scones great. The tea sandwiches were too minute. One bite sandwiches were what they were. A tea sandwich should be at least two bites. Server was very kind , but please clear my empty tier before dropping a check. Service excellent. Beautiful venue with old world charm. High tea had many options. Loved the scones, raspberry jam, and tarts. Tea was exceptional, a green tea and black tea mix. The afternoon tea experience was below expectations. They didn’t use a nice service tea sets. The food was hit and miss as some were ok but majority was below par. For the price we expected better. Good food, though spicy. Classier than typical Thai joint, with more varied options. Very loud and brightly lit. Service was poor and afternoon tea was mediocre, apart from the warm scones. Experienced the high tea for my wife's birthday. Quality & quantity of food was excellent. Service was well done. A great experience. A phenomenal experience of royal tea service! 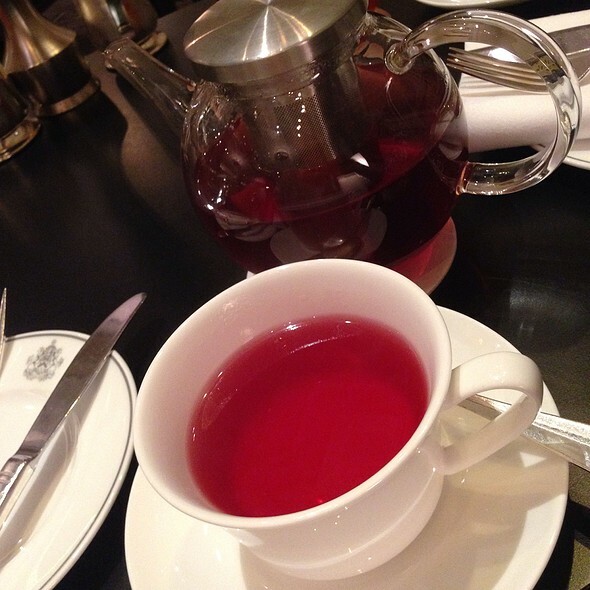 We chose the tea service at the Hotel Pierre, because it is supposed to be something special for the Christmas season. However, the service was inexcusably bad. We arrived in time for our reservation and offered a choice of 2 tables. No one came to take our order for over 15 minutes and when they did, the champagne and wine we ordered never came. I asked another waiter about it and in about 10 minutes, she brought our drinks. Our food never came so after about an hour, we finished our drinks and left. The waitress told me they were short staffed, but people around us were getting adequate beverage and tea service. It was an extreme disappointment! This was such a disappointment. Took my daughter and niece after The Nutcracker - room was dingy and in need of refurbishing, not festive, service was horrible and tea was SO overpriced for what was served. Horrible, and would absolutely not recommend. 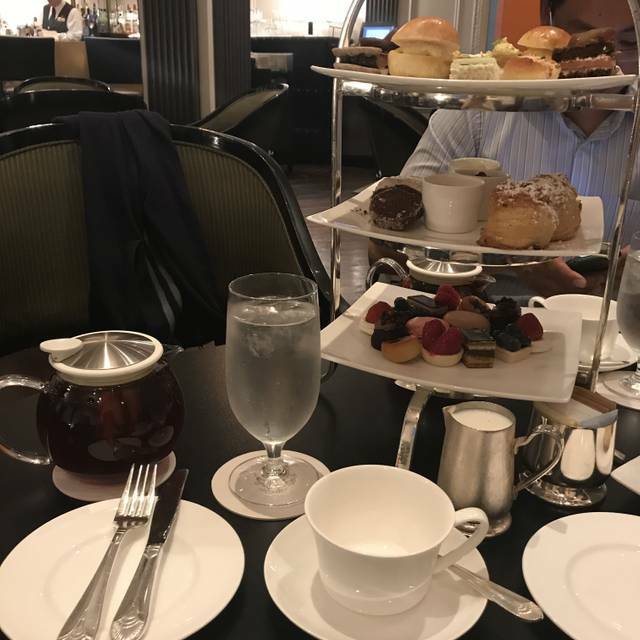 Last year we went to the St. Regis, which was outstanding in every way (and less $) and this year we thought we would try something different. So sorry we did, would never return, and would never recommend. Total, depressing and overpriced disappointment. The bread for sandwich was dry. It is nothing like good crisp for warm bread but dry. Highly recommend their afternoon tea. Went for tea after holiday shopping in the area. Our waiter, Haung, is always attentive and pleasant. This is the best tea service in NYC. The assortment of sandwiches, sweets and scones is just perfect. This was a special wvent for the lounge and they were ill-prepared. I've been there multiple other occasions when things went much more smoothly and it was far more enjoyable. This ended up to ne just an acceptable evening. It can get very noisy. It should be a more mature, romantic, sophisticated space.